In 2008 Britain’s smart meter revolution was launched – the biggest and most expansive of its kind. The project is currently looking like it will not meet either its 2020 deadline (53 million devices by 2020) or its £11 billion budget. It also isn’t looking likely that the promised savings for the consumer will be met. According to the Government’s own analysis, a full third of those savings are due to come from reduced energy usage, “driven in no small part by consumers staring in horror at the screens of their smart meters before frantically turning off electrical appliances at home.” – Harry de Quetteville, The Daily Telegraph. It is not just a problem with the concept, but the delivery too. The Big Six energy firms were responsible for the installation programme, a choice queried by many at the time, but remained the decision none the less. Because of this, important decisions were rushed, resulting in meters that stop working when consumers change energy supplier – known as “going dumb”. It is no secret that the programme was rushed through by politicians who were desperate to meet climate change targets set by Ed Miliband, leader of the Department of Energy and Climate Change at the time. In a recent interview with the telegraph, Mike O’Brien, who served as energy minister under Gordon Brown, admitted “I had an early version. After a while I barely looked at it, didn’t use it. We got rid of it.”. But just because the energy minister “got rid” of his smart meter, don’t imagine that your home will not be getting one. You might have already felt the pressure from your energy supplier to get one installed, as have many others around the UK. It’s not just Mr O’brien who has been vocal about his disappointment. Conservative MP Grant Shapps, the chairman of the British Infrastructure Group (BIG), said the programme had been “plagued by repeated delays and cost increases”. Mr Shapps also commented on the difficulty that comes in switching energy supplier when you have a first generation smart meter installed, branding them near useless. “It’s over time, it’s over budget, and it’s not going provide nearly the savings it was supposed to.” MP Shapps, speaking with BBC News. The National Audit Office is already investigating the economic case for the roll-out of smart meters and is due to report sometime this summer. But what can you do to protect yourself (and your income) from potential price hikes associated with smart meters? 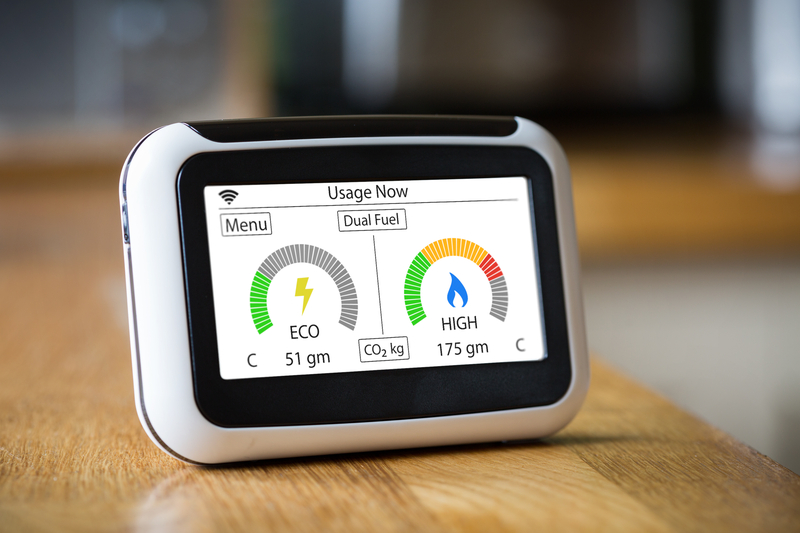 You don’t have to have a smart meter – Despite of heavy handed tactics from energy suppliers, you are under no legal obligations to have one installed in your home. We would recommend waiting until further reports have been published, and new legislation takes place. Research – It can be a minefield but take your time before deciding to get any of these technologies installed. Look out for faults – Even with their claims of efficiency and accuracy, many metres can produce false readings, therefore producing false energy bills. Keep an eye on your bills and make sure they are not any higher than normal. Don’t be intimidated by the”smart interface” of your meter – They can be confusing and hard to interpret. The hope is that mobile apps will be developed which are more user-friendly. Don’t worry about missing out on energy savings – Despite what they tell you, there is actually very little evidence that a smart meter will save you money. In fact, devices which are designed to reduce usage, including energy-saving LED lightbulbs and dimmer switches, can actually “change the shape” of electrical currents and distort readings. As things stand, so called “SMART” meters are far from intelligent. Instead they are unreliable, inaccurate and are not creating the revolution they set out to. There are other options out there aside from smart meters supplied by the Big Six. To learn more about MARGO, a device designed to give the most accurate energy readying possible, visit our website here.